Jim Driscoll - British, Empire and European Featherweight Champion. Another Welshman with a claim to being the greatest pound for pound fighter of all time is the legendary Peerless Jim Driscoll. Born into poverty in the docks area of Cardiff and one of 5 children. Jim Driscoll was only 7 months old when his father was knocked down and died in a goods yard near his home. Jim Driscoll was a master of defense yet could mix it with the best of them. Many of his opponents would find themselves chasing his shadow as he effortlessly slipped their best punches then proceeded to give them a boxing lesson. Jim Driscoll was the master of the straight left hand punch. As with most Welsh boxers of this time, Jim Driscoll started out in the boxing booths, which were commonplace in Wales. Fighting against men of all shapes and sizes in the booths proved to be a hard grounding for any would be champion. Legend has it that he would challenge anyone to hit him on the nose while he stood on a handkerchief with his hands tied behind his back ! He never officially achieved the ultimate prize, a World title, but it is testimony to the fact that he was such an exceptional boxer that he has achieved legendary status. As he lost only 3 fights in his career it is also proof that he fought in an era where hunger and poverty produced fighters of rare quality. Jim wins British Title - twice ! After losing only one fight, against Harry Mansfield in a hotly disputed decision, Jim fought for the British featherweight title, in 1906, against the reigning champion Joe Bowker. Although the fight went the full distance of 15 rounds, Bowker was hopelessly outclassed by Driscoll and went down to a points defeat. Jim Driscoll inexplicably gave up his title but the following year met Joe Bowker again for the Featherweight Championship of Great Britain - this time knocking Bowker out in the 17th round to become a two-time British Champion. The next year, 1908, saw Jim avenge his only defeat to date by beating Harry Mansfield over 6 rounds and taking the Empire title by defeating Charles Griffin over 15 rounds (this fight was also billed as being for the British version of the World Featherweight Title). He then went to America where his reputation had gone before him. The Americans were keen to see this Welshman they had heard so much about. Stories had gone before him of his ring craft, elusiveness and superior boxing ability. They were not disappointed as Jim set about beating the best America had to offer with ease. They could hardly lay a glove on him. This was the era of the no-decision in America, where the rules stated that if a boxer was not knocked out then the fight was declared a no-decision. It is primarily this rule which prevented Peerless Jim from being declared a World Champion. At the time the World Featherweight Champion was Abe Atell, a true champion taking on and beating the best of his day. However, Abe Atell would not fight Jim Driscoll in anything other than a 10 round no-decision contest. The fight was agreed and went ahead in February 1910. Undeniably Abe was a great champion but as with the others before him once faced with Peerless Jim Driscoll the story was much the same. Jim peppered Abe constantly with his perfect straight left while evading with ease any offerings from the champion, this continued over the course of the entire fight, with observers later stating that Jim had won every round. It is widely acknowledged that had there been a decision that night then Wales, and the world, would have heralded a new World Champion - Peerless Jim Driscoll. Although a decision was not given it was customary for the ringside reporters to give their decision as to who won the fight. This was done for betting purposes. The reporters all gave the verdict to Jim Driscoll. Indeed, Nat Fleischer when commenting on the fight said 'Driscoll was easily the best. The Welshman easily outpointed Atell and virtually took his title away from him. He definitely proved, as far as I am concerned, that he was the best featherweight in the world'. Jim was offered a return fight with the world title at stake but before leaving Wales had promised to box in an exhibition bout at the Nazareth House Orphanage annual charity show. Being a true gentleman he sailed back to Wales the following day to honor his promise, effectively giving up his chance to become a World Champion before he would break the promise he had given. On his return to Wales he was given a heroes welcome, as far as the Welsh were concerned he WAS the World Champion. Indeed, much of Europe recognised Jim Driscoll as THE World Featherweight Champion and he was billed as such. To this day the nuns of Nazareth House tend his grave. Jim Driscoll was truly a champion. Jim's next fight was against Seaman Hayes which was won in 6 rounds whereby Jim was presented with the very first featherweight Lord Lonsdale belt and once again became the British Featherweight Champion.. Later that year a controversial chapter in Jim Driscoll's career took place when he fought against his fellow countryman Freddie Welsh. Freddie Welsh was at the time the British Lightweight Champion and already recognized as a world class fighter ( he went on to become World Lightweight Champion). Welsh and Driscoll were great friends but in the build up to the fight the friendship did not last surrounded by all the hype that generated from their respective fans and the press. Sadly, it became a grudge fight between the two Welshmen. Two world class fighters of tremendous skill facing each other was surely going to prove a feast for ardent boxing purists. It was not to be. 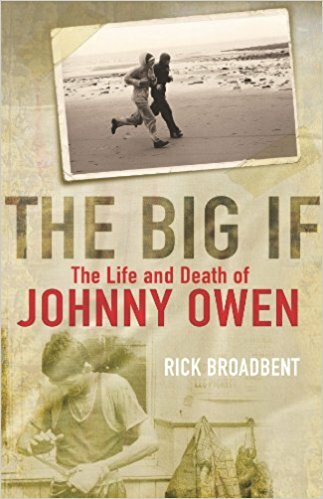 Freddie Welsh adopted rough house tactics and did everything he could to stop Jim from boxing, by legal or illegal means. Jim appealed to the referee on several occasions to no avail- Freddie was holding and hitting to the kidneys amongst various other transgressions of the rules - until in the tenth round he could take no more of Freddie's illegal tactics, losing his patience Jim butted Freddie Welsh full in the face giving the referee no alternative but to immediately disqualify him. Jim was deeply upset by the outcome and pleaded for a return but a rematch never took place. 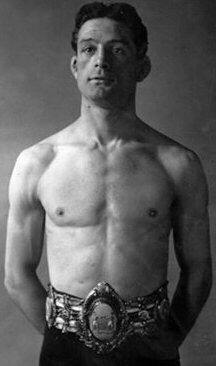 Spike Robson was defeated in 7 rounds in Driscoll's next fight giving him the first ownership of a Lord Lonsdale belt. By now though the Peerless One was not a well man, suffering ill health. It was purely because of his superior skill that he was able to continue and took the European title by defeating Jean Posey in 12 rounds. The First World War broke out in 1914, Jim joined the Armed Forces and did not box for 6 years. After a couple of comeback fights Peerless Jim Driscoll stepped in to the ring for the last time in a failed attempt to beat Charles Ledoux, who was considered to be the best featherweight in the world at this time. It was not a wise decision but Jim was not to resist a last big pay day. Ledoux was 11 years younger than Driscoll, at his peak and a rough all-action type of fighter. To make matters even worse Jim had been taken ill four days before the fight and climbed into the ring a very sick man. It was apparent to all at ringside that Jim was indeed a sick man, he looked aged, grey-haired and haggard. Astonishingly however, once the fight had started Jim Driscoll gave a display for 15 rounds of what many consider to be the finest display of classical boxing ever witnessed. He hit Ledoux at will, danced around the ring bobbing and weaving, feinting, jabbing - displaying all his old ring craft. At the end of the eighth round even Ledoux joined in the applause for the brilliant Welsh master. For 15 rounds it was a totally one sided fight, Ledoux could not place a telling punch on Driscoll. For one last time The Master was at work. It was unfortunate that the fight was over 20 rounds, not the 15 rounds that Driscoll had wanted. After dominating the fight totally for 15 rounds Jim Driscoll was now hopelessly tired. Ledoux connected with a wild right hook to the body of The Master toward the end of the 15th round but did not follow up, such was his surprise at actually striking his opponent. Had he followed up the fight would have ended there and then as Jim was all but out on his feet. Desperately Jim's corner tried to revive him and persuade him not to go out for the next round but Jim would not hear of it. At the sound of the bell Jim staggered to his feet. Before a punch was landed Driscoll's corner threw in the towel. It was the end of an illustrious chapter in boxing. Jim Driscoll died on 30th January 1925. He was held in the highest esteem by thousands of people, as was demonstrated at his funeral when more than 100,000 people lined the streets of his hometown, Cardiff. Leading the procession were 100 children from the Nazareth House Orphanage.